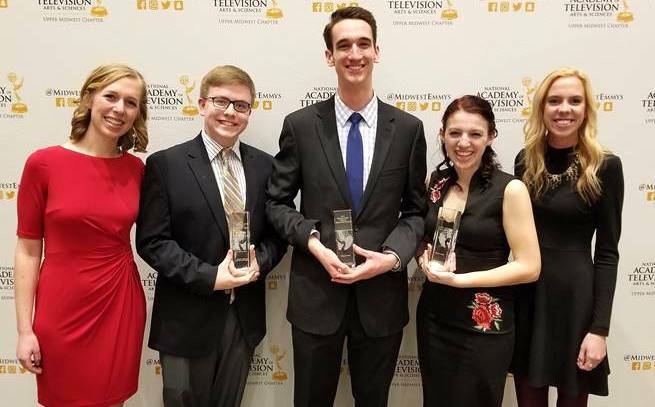 NATAS Upper Midwest Emmy® Chapter/Foundation Student Production Award winners left to right: Kelly Kuboushek, Michael Runde, Ben Friedman, Sami Graff and Maggie Wedlake. 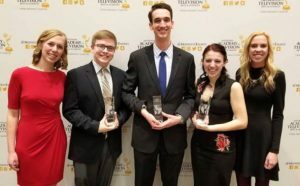 DUBUQUE, Iowa – Loras College Media and student-led Loras College Television have earned a combined 11 major awards from the National Academy of Television Arts and Sciences, Society of Professional Journalists and the Midwest Broadcast Journalists Association. 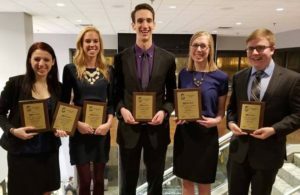 Midwest Broadcast Journalism Association Eric Sevareid Award winners left to right Sami Graff, Maggie Wedlake, Ben Friedman, Kelly Kuboushek and Michael Runde. 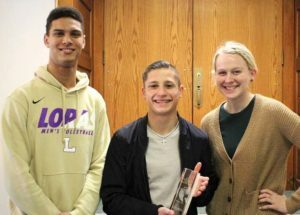 Jon Quinn, Andrew Kilburg and Emilie Dalsing, winners of Best Music Video. LCTV earned the 2018 Best All-Around Newscast at the Society of Professional Journalists Region 7 Mark of Excellence Awards for the second consecutive year. Kuhr earned first place in the Broadcast Feature Videography category. 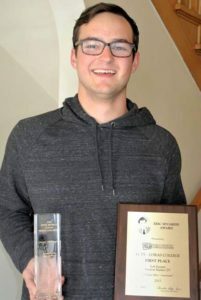 Brody Kuhar, winner of Broadcast Feature Videography. First place winners of the SPJ’s awards will compete at the national level among other regional MOE winners from the 12 SPJ regions. National winners will be notified in the following weeks and will be recognized at the Excellence in Journalism conference in Baltimore.